Duccio Ferroni graduated in Architecture from the University of Florence in 1984. 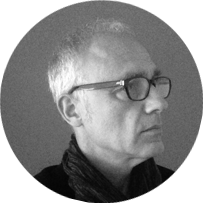 As a student he started working at Paolo Fiori’s architecture firm as a junior partner since 1980. In that position he developed key roles in planning and architectural design, especially abroad (Lagos, Nigeria). He later completed his education at the IIT in Chicago in 1989. In the same year he joined Perkins and Will architecture firm where he further increased his interests in social and institutional projects, under the supervision of chief designer and partner, Ralph Johnson. While still in Chicago he started his collaboration with the US-based Chilean architect Rodrigo del Canto, working on rehab projects for theaters, elementary schools as well as private residences. In 1995, following his unyielding commitment for different opportunities and challenges, he moved to Kuala Lumpur (Malaysia) to join Teknikaria architectural firm where he worked on large commercial and residential projects.